I wonder if the author ever researched anything at all. I can overlook a few mistakes, but this is too much. Pretty much everything is wrong. Saying it makes an OP armor compared to the iron armor of the time is BS. A good hit with a bronze/iron weapon will damage it. It... more>> shouldn't cut through the armor with a single hit, but it will make a good dent which will press on the flesh, injuring and restricting what under it. MC should have died in the first fight. Aluminum reinforced with plot armor is strong though. And using modified sports javelin as a lance? Lance, spear, javelin have a different balance and. It will make a horrible lance, difficult to wield, and it will break. Oh, and how the hell did MC process all those orders with the short time he gets back? You cannot just walk in and order sh*ts. Ordering thousands of old steamed buns? Sure you can, but not by asking cafeteria lady. You need to place an order to a factory/shop. And you need a day at least. Ordering equipment from the factory? They have to design the equipment and make tools to produce it. Especially if our MC want stamping pressed armor. A stamping die alone would take weeks. Well, it is still doable if MC don't mind the quality. But who would accept a random person order that easily? It isn't like the factory will always have enough remaining capacity and man power for some random order. Capacity is planned. MC has no credit. No working history or relationship. Who would take such random order? And ordering thousands of racehorses? Just contacting all those ranches is going to be hell. Then there are transportation, imports permits, vets, warehouses. It is something that needs weeks. And race horses are not suitable for war. They are bred for race and I am sure there is no armored lance charge competition. And how did they sell historical artifacts that fast at that price? Can they even count as historical artifacts? While the craftsmanship and tools used are ancient, the object itself is new. At most they would be recognized as excellent replica of ancient crafts. And those ridiculous fight scenes and tactics. They are so horrible. Kiting heavy infantry by discarding equipment and retreat? As if a commander worth a dime would be so stupid to order a chase with heavy infantry, in an enemy city!. And another kiting with cavalry, after that said cavalry had just forced march for days. That cavalry shouldn't even have enough energy left to fight. And why would a commander chase a cavalry? TL;DR: This is a decent time-travel story. Three and a half stars, aka a four. Ah, this story has a complicated spot in my head. It's main draw is that a modern person has the ability to travel back and forth in time. The MC is the sole link that ties the ancient world and the modern one. But, for some reason, this plot is eventually phased out and the MC lose contact with the future completely. Fortunately, in my opinion, this doesn't really hurt the story, but the author could've just saved us all some time and just made MC stuck in the past from the beginning. Why give MC the ability to travel back to the modern period when you're just gonna take it away, permanently? Anyhow, let me just say this first. The story starts out a bit weak, then gains a lot of momentum around the middle part, but ultimately and completely falls apart at the end. It's fairly obvious that the author just lost interest and ended the series well before its time. If done right, it could've lasted at least two hundred more chapters. Four hundred, if the author actually decided stick with the Hun Invasion plot-line. Still, I did enjoy the most of the story. It's just the end was just too... abrupt. And silly. Children, beware. This is a story about Ancient China, so you know there's gonna be some very violent stuff happening around MC. The author isn't afraid to show the brutality of war and the cruel methods some people used to inflict pain on their enemies before they die. Two words: Human Stick. At least one of MC's generals suffer this fate upon their defeat. This might not be for everyone, but personally, I love it. In fact, I wish it were more frequent. MC's relationship with his wives doesn't really develops. In fact, once they've married, MC will rarely have any time to spend with his wives at all, other than some interactions here and there. This story is nearly entirely about politics and intrigue and the introduction of the fabulous inventions that the MC brought back with him from the future. Essentially, MC replaces Liu Bei as the third power in the Three Kingdom Period. Most of the time, when he's not uplifting Chinese civilization with the introduction of cement and cannons, he's stealing talents left and right, making Cao Cao green with envy and Liu Bei look quite the fool. Speaking of... The characters were very well done... At first. Then, they all get flanderized. Cao Cao starts out a fairly reasonable character, at least for a warlord, but is still an extremely ambitious and shrewd fellow. Yet, by the very end, he actually surrenders to the MC and helps dismantle his own empire after he was overthrown in a coup. It's complicated. Sun Ce... Turn out to be gay. In fact, very gay for Zhao Yu. It only took Zhao Yu's brush with death for Sun Ce to realize it. I suppose it had to be that way in order for the MC to steal both of their wives and yet have them both join MC's faction willingly and loyally as his dragons. But that was still very stupid in my opinion. I don't know what the author's problem is with Zhuge Liang, but the author decided to portray him as a decadent, yet often penny-less and henpecked strategist who's so scared of his own wife that he's even afraid to go home. One of the best strategist in history, and here, he's been reduced to a comic relief. Even the MC gets this treatment. He gets absolutely no respect from his own council near the end. While they are all making jokes at the MC's expense and embarrassing him as if they were old buddies, and the MC just taking it, I thought... Warlords have been known to execute entire families for less. Xiang Yu, for example. If there were anyone who's portrayal I enjoyed from start to end, it's Liu Bei. I never liked him in the Romance of the Three Kingdoms. In this story, MC completely take over his role and then slowly dismantled every single thing he ever had. Strategist? Gone. Wife? Gone. Supporters? Gone. Elite Forces? Gone. Sworn brothers? Gone. In the end, he had absolutely nothing. And I very much enjoyed to watching him fail again and again. Too much enjoyment, in fact, so this might be a little bias. As for the titular Lu Bu... Still a warlord and a fearsome warrior, but... he's also a family man now. He's leaving all the world conquering for the younglings. Still don't know what to think about that. All in all, characters starts out normal, but essentially becomes a parody of their former selfs by the end. This, I didn't like at all. Nevertheless, I really enjoyed the story. Sure, there are a lot of problems and plot-holes, but even so, I'm not too bothered by them. I see this similar to a summer blockbuster movie. You essentially see the MC live out everyone's fantasy of what they would do (or should do) if they were to travel back in time. Become someone important, carve out a territory of your own, develop a worthless wasteland into the technological capital of the world, and build a reputation so powerful that your very name becomes a weapon to use as any other. You see the MC start out as a nobody then become a prince then a warlord then ultimately an emperor. And you really do feel excited by the MC's achievements. Like when he modified the ballistas, install them into ships, and then use them to crush the Wu's naval forces that was invading. Or recruiting Zhao Yun before Liu Bei and using him to harass/devastate Liu Bei's forces with the Mongolian horse archer tactics. Or by the end, building a fleet of European-inspired ships, complete with naval artillery, to devastate whole enemy fleets, seaport, and seashore city from miles away. And what time-travel story would be complete without the MC bringing superior methods of forging better and stronger swords and armors that are essentially hacks for his elite army. Or, best of all, at the end, when Cao Cao used the Emperor's authority to declare MC a traitor and an enemy to the realm, MC and his council simply declared MC the true Emperor and Cao Cao's Emperor to be a false one. Man did that backfire on him horribly! The MC also shows some shrewdness in the way how he abuse his Princely title to overpower his enemies, how the use his Liu surname to unify the world under his banner, and how he twist all of his enemies plot and schemes into building blocks for his own little corner of power. Still, as much as I've enjoyed those moments, there were also a lot of other moments where it dragged on and on. The story is kinda there, but the execution leaves much to be desire. Some of the stuff that happens to the MC should've killed him outright. It is only became MC is the protagonist that he survives with his head attached to his neck. Plus, some of his actions are also downright stupid, such as his decision to put himself at the mercy of another warlord and essentially living for years under house arrest in exchange for the right to buy food. Or waiting for Cao Cao to attack you rather than taking the initiative to attack first while he's dealing with the Yuan's army on the other side of the map. Note, at this point, MC already has the manpower, the superior arsenal, and an epic naval force, WITH CANNONS. And he's extremely rich after stealing all the merchants from the other warlords and the Yuans still have an army to threaten Cao Cao with. He can take Cao Cao out, easily. But he decided to wait and wait, and ultimately paid dearly for that decision. Hint: Cities sacked, generals dead, and his cannons fall into the hands of Cao Cao. Go figure. And adding to the fact that the ending was a complete mess. So... I give this three and a half stars. Not an actual four stars rating, but I can't, in good conscience, give this just three stars. P.S. Even though MC's indecision cost him a lot, it'll all work out fine in the end. Cao Cao has a really capable son, overthrowing the emperor and helping himself to the throne while his father is fighting the battle of his life. MC becomes emperor with the help of Cao Cao and unifies China just in time to fight off the Huns or something. Review as of Ch. 100. I don’t like this series. As a fan of Romance of the Three Kingdoms (the novels, the games, the drama series, the mangas, animes etc), the premise of the story intrigued me. There have been fiction about time-traveling and changing the course of the history of the Three Kingdoms (eg, Ryuurouden manga) and I have been more than happy to read it. But “My Father-in-Law is Lu Bu” is very poorly written. I cannot get past the MC’s cheat ability. For some reason or another, the... more>> MC is able to warp between the Three Kingdoms and back to his modern world. He would use this ability to bring back advantages to help his cause. However this mechanic is never explained in detail and we are supposed to go along with it. People in both worlds simply accept his comings and goings without too much questions, making you wonder why not just have him find an inter-spatial ring or a Doraemon-like figure to give him the help he needed instead of warping back and forth. There is very little discussion about the effects of him changing history beyond selling ‘antiques’, which is a shame considering the MC is actually able to go back to the future if pushed to do so. The title tells who the MC is, not what the story is about because Lu Bu’s daughter is hardly developed. Most of the story is about the MC overcoming challenges which are a drastic change from his modern mindset. People coming in due to the Three Kingdoms setting and expecting a similar emphasis on the politics and strategies might be disappointed in the first 100 chapters. The closest equivalent to this story is the 2012 Hong Kong TVB drama series, “Three Kingdoms RPG” which has a game addict transported to the Three Kingdoms. There is an English sub somewhere on the internet. The writing is very amateurish at the start, it improves later on. I’m not sure if this is due to the original story or the translator’s own efforts to improve the prose. Some might be put off by the translator’s use of ALL CAPS to emphasize emotional statements. The MC is hampered by the unexplained cheat ability which acts like a gigantic Plot Device. It only exists because the writer needed a way to bring modern ideas/items to the past. He does develop greatly over the course of the history, you might even empathize with his grief and rage. These few emotional moments are written good enough to paint a picture in your mind. But everything else are just functional and pretty much skimmed through. Speaking from the perspective of someone who's loved and read the Romance of the Three Kingdoms, this is a very interesting take on the original story. Sure, BIG BIG BIG deus ex machina thing going on in the early parts with his 'cheat' ability to travel back and forth in time, but there are limitations to the power. Loving the story so far. Basically the limitations are enough that there is enough sense of urgency or danger, something which doesn't happen with a lot of other CNWN out there, particularly the... more>> ones involving time travel (MC usually almost omniscient due to being able to know the 'future'). In fact his power from 200 onwards is blocked for almost a 'year' in novel time, and he must rely on the resources he has from there on out. This novel molds the historical figure Lvbu into a father figure, which is interesting given that lvbu is originally described as unfilial and un-loyal in the original works. If one likes these kinds of family dynamics and development in their stories then this is the WN for you! Forgive me although I really love this serious like 8/10, I am not foolish enough to say it's nothing more a two star guilty pleasure that I a enjoy, but this is only as long as Liu Mang is main character. Following those conditions, this is an interesting story about an god envoy or so other characters think, who is sent to guide Lu bu on alternative history path. 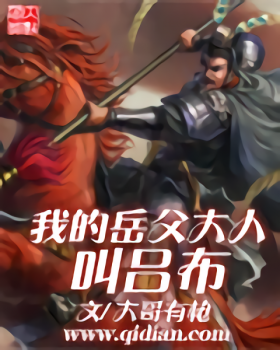 Unfortunately, the author knows little of tactics and makes the story fights repetitive drivel with less than flat characters, though only during... more>> frequent times he depicts lu bu's point of view. I simply believe the author didn't spend enough time grasping his character, so the story ends up feeling subpar on what it could of been. I honestly might only recommend this to dedicated fans of historical genre, and those looking for a time filler. Well, to first get into the novel, you need to familiarize on the setting it is in. It is in the Romance of the Three Kingdoms (ROTK) Era or 190s-250s AD China. You could first watch the TV series called Three Kingdoms (90 episodes). You could also play ROTK from Koei and I suggest ROTK X for this, or any Dynasty Warriors (DW) if you like casual/mindless fun. Only then you would enjoy or understand the story. I'll put... more>> spoilers on any content not disclosed on the synopsis. The plot itself is refreshing as compared with other time travel genre that I've read from China. Here, the story actually deviates from history. The time travel mechanics is not explained thoroughly on the first chapters but is then described vaguely on the latter chapters. On the current chapter I'm in, I'm still lost about the functions of his time travel gadget. The MC also relies a lot on his time travel but it changes later on. The butterfly effect was also not considered although I can say that his time travelling on the current chapter cannot be called major as to change actual history. As of now, it can only add addendums or change notes on some history books. I'm hoping the time travel logic would make sense on the future chapters. If you didn't have any prior knowledge about ROTK, you will get lost on the geography/world building of the series. Additionally, you would be lost on who the characters are even though it is sometimes explained on the novel itself. There is character progression and you won't see it until chapter 66. Comparing it with other Xianxia or Wuxia where the protagonist either has innate talent or his training is done on the earliest chapters. The fun part of the series is the army battles, both on an individual/character basis and as a whole, and tactics/strategems employed. The characters are also fleshed out and there are only a handful that can be considered minor. Again, you also need to familiarize yourself with the characters of this era as to understand their actual powerlevels. It is not comparable with the tactics employed on the Wuxia called 'A Step into the Past', but it is still enjoyable. There are no harems involved and the focus is really on the world building or actual deviation of history. The protagonist is also not a pervert and only acts like one due to circumstances. There are quirky dialogues but it's only understandable depending on the translator and sometimes its not funny due to cultural barriers. The MC has one cheat ability, and that is time travel, unfortunately, its world development is lacking. In that there are no real consequences to changing history and time travel. You basically don't know why the time travel device exists (it's not important for this kind of series, but if you constantly mention the rules of the device, then you need to explain some kind of back story for it.... more>> Maybe the author will, in the future). Maybe its that he hasn't done enough to vastly change history yet. Maybe its that the author doesn't want to focus on that. But the main point is, that its primary weakness (like most xian xia), is character development of non-MC characters. In deed, the MC is the sole driving force of this series. That isn't bad if the most important thing is the MC, but in a series with historical figures, you really really need to have character development of the historical figures, especially if you saved someone from death. Other than that, unlike other cheat abilities, his is rather tame. He can (largely) only bring a limited quantity of future items to the past. It isn't explained well (how much he can bring to the past, nor the consequences though). This story has a good plot and interesting characters. The problem is where the author takes the chapters. The amount of characters that needs screen time and the random events being included everywhere is even worse than in the slow middle parts of The Wheel of Time. With a bit more focus in the story telling and less (long) monologues in the middle of combat it would improve a lot. This is an alternate history re-telling of Romance of the Three Kingdoms. I thoroughly have enjoyed reading the series especially since I have read ROTK and the author does try to imitate the original style. Although the MC is Japanese and they have to throw in the obvious stereotypical Japanese comedy into the series, it does try to portray some sense of realism in the fantasy ROTK world if Lu Bu did not get vanquished early on. Dear Lord. This is so bad I could cry. The first problem is the pacing. You could literally tell when the author is just writing pointless fillers. Each conversation is filled with people trying to be cryptic and then repeating themselves over and over. If the 'conversation' happens to be an argument of some sort where they try and change each other's minds, the end result is that the conversation doesn't happen because something gets in the way. The second problem is the logic. Let us PRETEND that Lu Bu is a... more>> space alien that could break feeble city walls made out of suspiciously flammable stone and that the armor is tied together with a string, loose enough to cut and drop them mid-combat. Two logical flaws in particular pissed me off. Zhou Tai has his heart on the right side of his body instead of his left. Its a real thing called dextrocardia and it doesn't make you superhuman. On the contrary, it makes you 'superweak' because of weaker immune systems + other important things. The other logic failure is about that one guy whose name I couldn't be bothered to remember. As he was dying, he ripped out his intestines and ate it together with his digested sh*t and then gets much stronger. This novel is a mix of eastern fantasy, semi-historical fiction and probably something like Dragonball or Pokemon when it comes to logical decision making. I won't comment much about the translation quality, as most of it is marked as MTL. (machine translation) let's just say that even the parts with translator and editor looking through it are readable, but even a non native english speaking middle schooler would cringe with this grammar. It's bad. I didn't count the grammar into the rating, it's actually bad enough even without those grammar mistakes. It... more>> starts off quite nicely with a modern setting and a protagonist that gets transferred from current times to a fantasy style historical setting. The idea is fun. The setting has no powerful mages and initially has a very historical feeling. Over time though, more and more things get explained in a way that makes no sense whatsoever, as if the author doesn't even have basic education or any idea what he's writing about. It's close enough to historical to call it semi-historical, but the super strong main characters (generals, commanders... whatever their ranks and titles are) are so drastic that it soon becomes obvious that it's more fantasy than a typical historical novel. The author likely took a mix of historically accurate stuff, mixed it with PC game knowledge and then ended up somewhere in between. Overall that's not necessarily bad and actually not the reason this novel gets such a low score from me either. It doesn't have to be following our world's laws to be good after all. The problem with this approach is that even though some generals and people in general have powerful skills, strength etc. is not just explained in a way that makes it reasonable. A fantasy world is nice, but even fantasy worlds need a certain amount of realism within their own defined limits to make some sense and create a feeling of immersion. The world itself is so flawed that its horrible to read and with every chapter there are at least one or two things that make no sense at all, just breaking the immersion even further. I could accept that it didn't closely follow real historical sources. As BLKCandy has already explained quite in detail though, there's just so much wrong beyond these fantasy aspects that it's hard to enjoy. Especially with historical novels, a certain amount of realism and logic makes this type of genre interesting. The author doesn't exactly wow his readerbase here with his strategists and commanders, who make decisions that no sane 10 year old would do, let alone someone with the least amount of military knowledge or perhaps just a bit of common sense. Sometimes going so far as to try to sell his readers a strategy that is simply not possible. No, you don't throw away your full body armor in the middle of an engagement while trying to run away. Likely the author has never even tried to wear one of those. It takes quite more than a few seconds to get out of such a thing and no.. trying to throw away your armor, doesn't make you run faster.. at least not until you got rid of all the parts. To give a comparison.. try getting out of a skiing overall while running away from someone with a pointy stick aiming at your back. Yes you guessed it right, that's a bad idea. No you don't go to your local cafeteria and bring back 10000 buns. It's not always just about having the money, they likely just don't have the stock. The same applies to making armor or buying horses. That takes a lot longer even with enough money surely speeding things up somewhat. A week with enough cash, I could accept that even though you have to be really lucky to find the right people right away. A day or three however? Nope, sorry no way. No aluminum is not a super tough metal. Go back to school and learn some more. That's just embarassing. A weapon or armor with gold paint, likely isn't gold for a very long time either. No tigers dont have tongues that will rip off your face by licking it. It's about the same as house cats, yes its rough and feels a little bit like sand paper, but big kitty won't kill you with licks, it kills you with its claws or fangs. No they also don't use their fluffing tails as weapons. Did the author sleep during biology. Are we talking about tigers here or mutant zombie kittens? The logical failures go on and on. I don't even want to start with combat itself. Talking for 10 seconds after each sword swing is not how it works. Does what it says on the can. The MCs father in law is indeed Lu Bu. What you see almost next to nothing of is development around the fact that he is Lu Bu's son in law. Up to this point the fiancee has had 3 short appearances with nothing else being heard of her. This is just an alternate timeline warring kingdoms novel. People with two hearts? someone who could rip peoples arms by taking a step and one-punch people to death somehow takes forever to choke one person to death. I really liked the beginning where the author kept comparing the story with actual history (not that I know it but just gave it more credibility). However the villian characters are so retarded almost all the time and the drama during fight scenes is so illogical that I just couldn't handle it. As for the cheat ability I'm ok with it, I kinda like this kind of story where MC didn't faced much trouble as the story go on. It might due to my past reading which more intense and heart-broken (they... more>> don't get translated into English much so many people in this site might not know about them). People who bored about the ridiculous lucky MC and hate this kind of story might be because it's the most translated genre and they read these kind of novel too much. All and all I recommend this novel for those who didn't 'bored' these type of novel which kinda happy-go-lucky MC. It's fun, It have enough detail to keep it not too plain. I like that the MC is funny enough at times and at one point he is commanding an army and their reactions on his training methods are funny let alone his slogan. This story is hilarious and yet it falls short. Liu Mang (MC) is treated as a side character most of the time and it mainly tries to focus on politics, however it just gives you some historical facts and trivia. I would question the style of writing because of its repetitive paragraphs but I can only read the translation.... more>> This point is still valid however as the story gets dragging itself, it could be shortened but that's just me. His magical device on how he could transport from past to present is never explained, it just popped somewhere and boom he is now able to provide it. We are told that there are restrictions but it does not really matter much as we aren't able to specify the rules on how it works its just sloppy. The title suggest that we would have more focus on MC and his Fiancee but that's false she may interact with him for a chapter or two then forgotten for another twenty. I feel that it needs to refocus itself to them but I think the author can't write about politics and power struggle that well seeing the later translations. The author just wants to convey that these Chinese heroes are very powerful that they could do superhuman abilities. To be fair I never really got into the Chinese Histories aside hearing about them from Games and what not. Only four problems with it in my opinion. 1. The MC starts out as a whipping boy for women. I cringed a little bit at the pathetic excuse of a man he was. Luckily he has character growth later and becomes stronger over time both mentally and physically. The MC starts using a button that wasn't explained anywhere in this story at anytime that can transport him back to the present time where he is from. For a number of chapters he was stuck in the past with no way out and then all of a sudden out of the blue he just starts using a button to go back to his time period. 3. Sometimes the story goes away from the MC and doesn't even mention his name for around 3-6 chapters in a row. I like that they build other characters so that they are not just names without personality, but at times it seems a bit much. 4. This is supposed to be about a guy that travels back to the past and not to another world. So I find it weird that they have ranking systems like super class or hyper class that makes them very inhuman. Some have strength enough to use an arrow to destroy entire structures while other have multiple hearts beating independent of each other.